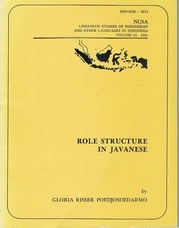 Home » Role Structure in Javanese. A good, clean, tight copy. ; With charts, apps. and bibliography. The Javanese language is part of the Austronesian family, and is therefore related to Indonesian and other Malay varieties. 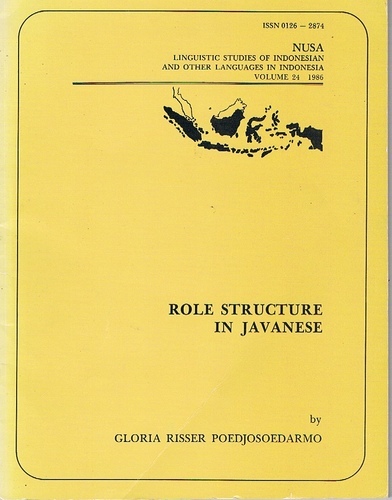 Most speakers of Javanese also speak Indonesian for official and commercial purposes and to communicate with non-Javanese Indonesians (Wiki); NUSA. Linguistic Studies of Indonesian and othe Language in Indonesia. Volume 24.